“A cryptic message from Bond’s past sends him on a trail to uncover a sinister organization. 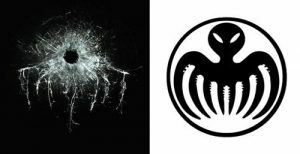 While M battles political forces to keep the secret service alive, Bond peels back the layers of deceit to reveal the terrible truth behind SPECTRE”. The official summary for the next James Bond film, produced by Eon Productions with Sony Pictures Entertainment distributing, reveals little of the pandemonium going on behind the scenes for Spectre. The Sony cyber hacking reveals an esthetic struggle to keep the spy saga alive and offers a rare window into how big tent pole productions are developed. 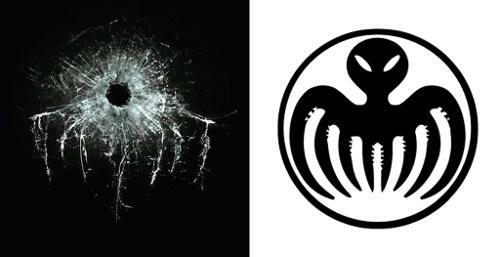 Spectre is an amalgam, a surrogate of sorts, the combination of ideas from the “Thunderball” material, the continuation of the series narrative reboot established with Casino Royale and ideas worked out between Sony execs, Bond scribes and Eon producers, Barbara Broccoli and Michael G. Wilson. The one commonality with all Bond films is that no matter what the danger he never dies, but with the released Sony notes, his 007 number might be up this time. Even before there was an Albert “Cubby” Broccoli and Harry Saltzman to shepherd the James Bond stories to screen, there was writer Kevin McClory. McClory had collaborated with Ian Fleming around 1959 to set a Bond story in the Bahamas and concepts from a McClory-written unproduced script made their way into the “Thunderball” novel in 1961. When no credit was given to McClory a plagiarism suit was filed against Fleming. A 1963 settlement resulted in McClory retaining authorship rights to the story and characters. Fleming was gutted by this situation and nine months later he suffered a heart attack and died. By this time the Eon-produced Bond films were a huge success. (EON stands for “Everything Or Nothing.”) Fearing a potential Bond film adversary, Broccoli and Saltzman made a deal with McClory to give him sole producer credit on their adaption of Thunderball while they were titled executive producers. For fifty years a legal war raged between McClory and Eon producers over rights to the characters and properties from Thunderball, which caused friction for the Eon-Bond projects. Numerous Eon-Bond scripts had to remove any McClory-protected material. Screenwriter Richard Maibaum’s original draft for The Spy Who Loved Me had elements of SPECTRE, and Blofeld excised for this reason. McClory went on to remake Thunderball with Sean Connery in Never Say Never Again and remained a thorn in Eon Producers’ side. McClory wanted to reboot the Thunderball / SPECTRE story in the 1990’s, ironically setup at Sony, but MGM blocked them with legal action. Sony would later purchase MGM and now these projects have dovetailed into Spectre. In November 2013 MGM and Danjaq, rights owners for the Bond film productions, announced that they had settled with the McClory estate over the rights to Thunderball, SPECTRE, and all the characters associated, granting Eon-parent company Danjaq full control. This is very significant since it allowed Eon to assimilate the Fleming material that had been missing in most of the Bond films. Dr. No, based on the sixth Fleming novel, was the first Bond film and first story to mention the SPECTRE criminal organization. Four Fleming novels reference SPECTRE: “Thunderball” (1961), “On Her Majesty’s Secret Service” (1963), “The Spy Who Loved Me” (1962), and “You Only Live Twice.” SPECTRE appears in the Bond movies with Dr. No, From Russia with Love, Diamonds Are Forever, and You Only Live Twice. Why is this property so desperately needed for the Bond team? Spectre will have the genealogy of one of the last great original Fleming properties from “Thunderball.” After exhausting most of the popular novels, they now claim one more remembrance to the bygone era of when Bond was firing on all Fleming cylinders, but will it be enough to save the spy franchise? Want the full article? 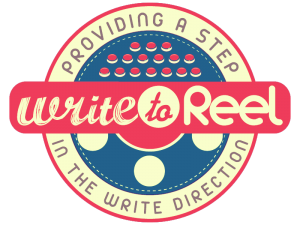 Follow this link to the ScreenBeats forum.